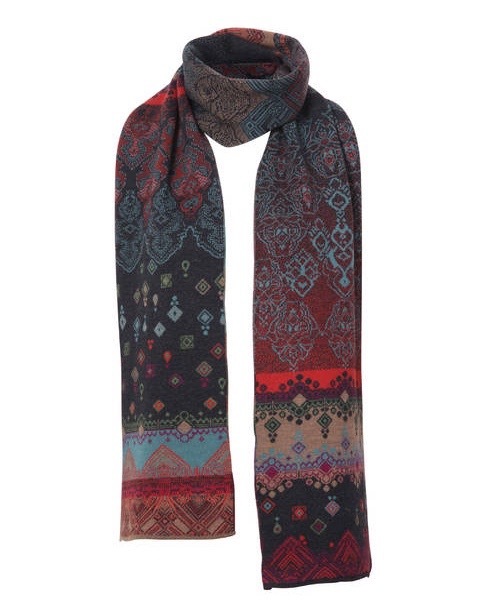 IVKO Scarf “Geometric Pattern” – gorgeous long merino wool scarf in geometric design in beautiful colour combination. Luxurious style, indeed! Made in Serbia. 100% Merino Extra Fine. Measurements: 200 cm x 27 cm.